August 29, 2012  Women who add more servings of fruit and veggies a day lost more weight even if they dined out two or three times a week, according to a new study in the Journal of the Academy of Nutrition and Dietetics. August 23, 2012  Since kids are drinking the same diet sodas their parents do, what does it mean for their health? If a diet soda is just an excuse to get a Big Mac, then it's probably not a healthy habit. Two health experts weigh in. August 21, 2012  A new study finds that when teens don't get the sleep they need on a given night, the next day all kinds of things can go poorly. The study builds on a body of evidence that finds sleep and learning are inextricably linked. August 16, 2012  Specialty roasters increasingly are working directly with coffee growers around the world to produce coffees as varied in taste as wines. 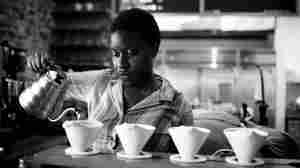 They're teaching their clientele to appreciate the subtle characteristics of brews by bringing cupping, an age-old ritual once limited to coffee insiders, to the coffee-sipping masses. August 15, 2012  A little chocolate may lower your blood pressure, scientists say, but don't throw out the medicines just yet. 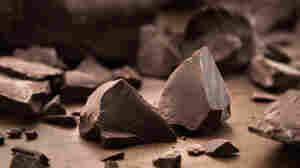 The new study is the latest in a string of signs that some of the properties in chocolate might be good for you. 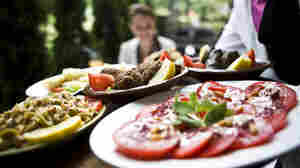 August 13, 2012  Spicy, acidic foods and heavy meals often get blamed when we experience heartburn. But researchers say that uncomfortable feeling may also be linked to what we're drinking: namely, alcohol, coffee and other caffeinated beverages. August 3, 2012  New research shows that official calorie counts for almonds may be off by as much as 20 percent because of the way we digest them. 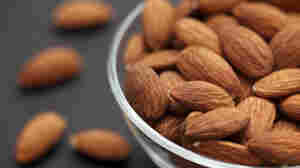 That may be good news people watching their weight who want to incorporate more almonds in their diet. 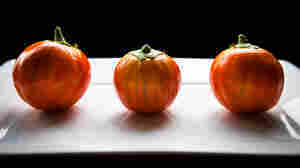 July 13, 2012  Scarlet eggplants are the wilder cousins of the ubiquitous purple oblong eggplants found everywhere, and they're starting to show up in more places in the U.S. A D.C. chef shows us how we can use their bright orange color to its fullest effect. 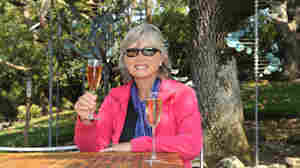 July 12, 2012  A small study in the journal Menopause says moderate drinking slows bone loss in baby boomer women. Researchers saw fewer signs of bone breakdown in the blood of women in their early 50s and 60s who consumed up to 1 1/2 drinks a day. July 10, 2012  Regularly consuming cranberry juice can help stave off urinary tract infections, a new study finds. UTIs account for 7,000,000 doctor's office visits and about 100,000 hospitalizations in the United States. 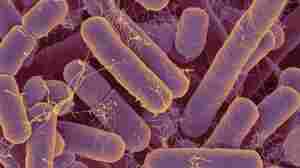 July 9, 2012  Beneficial bacteria, or probiotics, help us digest food, make vitamins, and even help protect us from harmful pathogens. 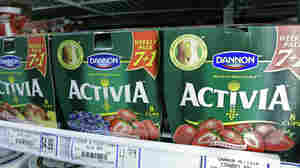 But it's not clear which probiotics are helpful. July 2, 2012  At the Culinary Institute of America, chef George Higgins teaches his students a foolproof method for making a flaky pie crust. It starts with 3 parts flour, 2 parts fat and 1 part liquid. June 29, 2012  Meat Week's almost over. It's time for Pie Week! Here's a preview: If you are scared of pie crust, we've got tips from the CIA that boil it down to a basic 3:2:1 ratio.